Last night I was aiming to get to Sheep Lake but stopped about 3 miles short. Here I had a small lake all to myself. When passing Sheep Lake this morning I was glad that I did stop short as, although beautiful, it was very busy with probably 30 people camped around it. 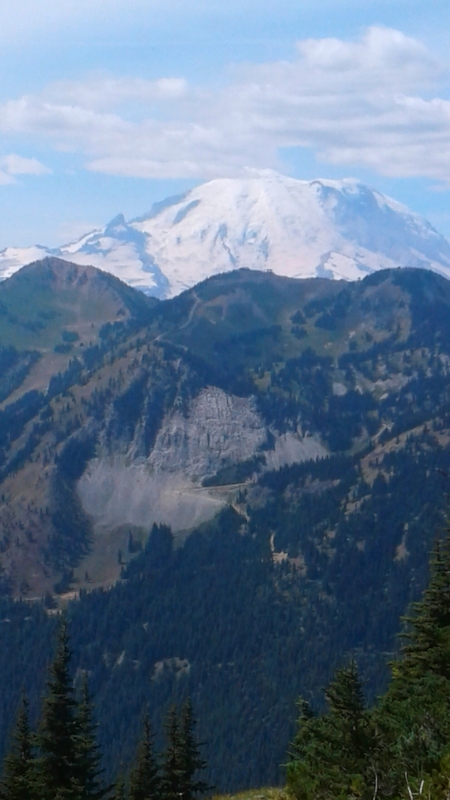 It is only about two miles from the trail head and only a shortish drive from Seattle. 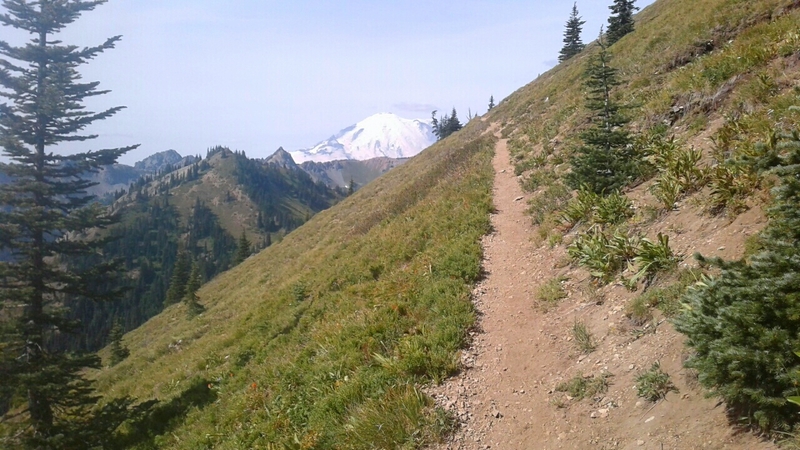 As I was climbing up from Sheep Lake a trail runner came past and I had pangs of pace envy as he blasted by. When I got to the top of the climb there was a man in camouflage gear sitting on a large rock which had a natural seat in the rock. He went by the name of Camo Bill and was from Yakima. I ended up chatting with Camo Bill for about 40 minutes. He gave me many good reasons why Yakima was a great place to live, including being able to be up in areas such as this only a short drive away. He had only recently started hiking and was now a real fan and hopes to hike the PCT soon. 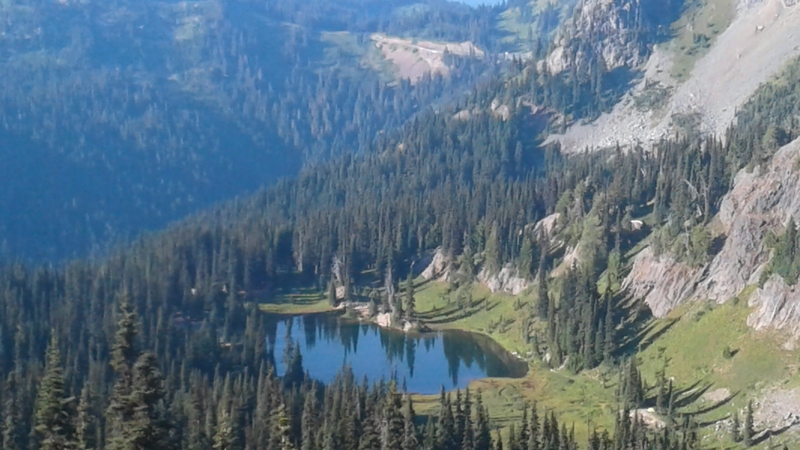 Shortly afterwards I met two day walkers who had hiked extensively throughout Washington and their comment was wait to you hit the Northern Cascades. 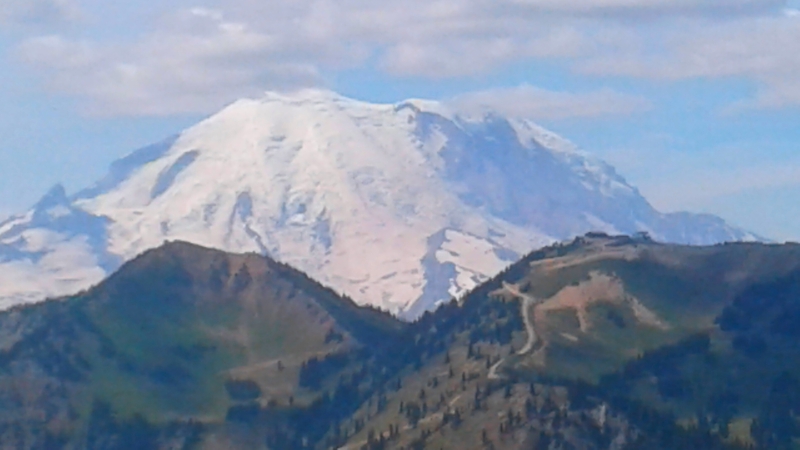 So the Northern Cascades have a lot to live up to if they are to top the High Sierras or the Goat Rock Wilderness. Three people came past on horses while I was catching up on internet chores before I lost connection. 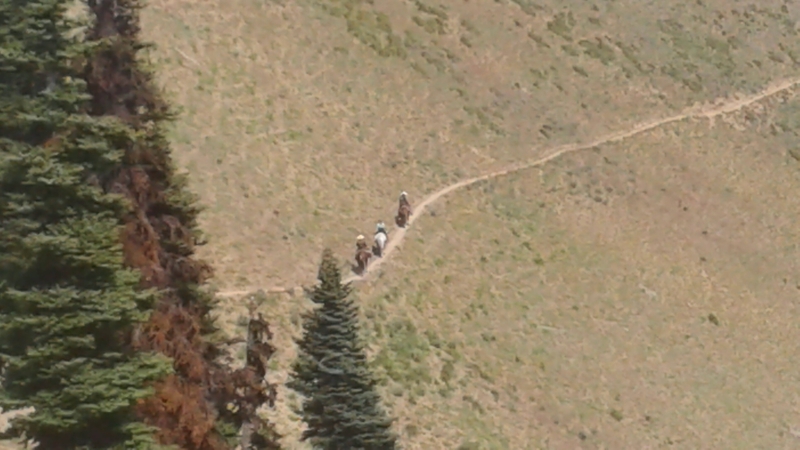 I thought hikers raise a bit of dust, it is nothing compared to the horses. 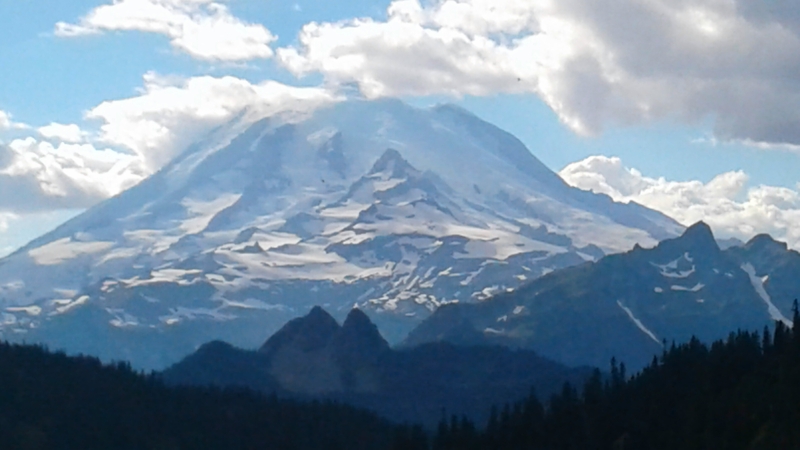 Mount Rainer and Mount Adams came into view from time to time for much of the morning. I made it to a spring for lunch and was joined by “Downtime” from Sweden and “Swissmiss” and “Swiss Dude” from Interlaken in Switzerland. Interlaken just happens to be the town Corky and I got married in. There was quite a number of toadstools beside the trail and some of them looked perfect for fairies to land on or perhaps I’ve been spending too long talking to myself as I hike along. During the afternoon the 4 of us kept crossing paths. 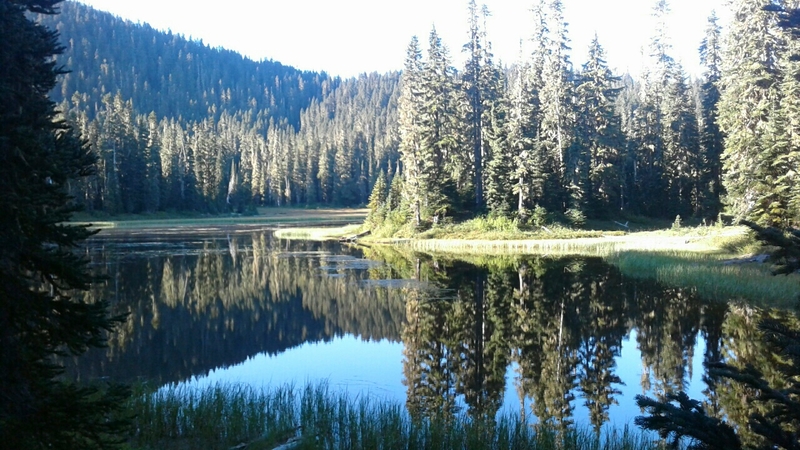 We then came to Urich’s Cabin where I filtered water and almost stayed but decided to see if I could do a few more miles before dark. The other 3 set up camp. Once I got back on trail and the sun started to set I thought it may not have been a smart move as the trail appeared to be cut into the side of a hill. With a steep drop off down slope and a steep upslope. Just as I was thinking I may need to walk for sometime a flat spot did appear. 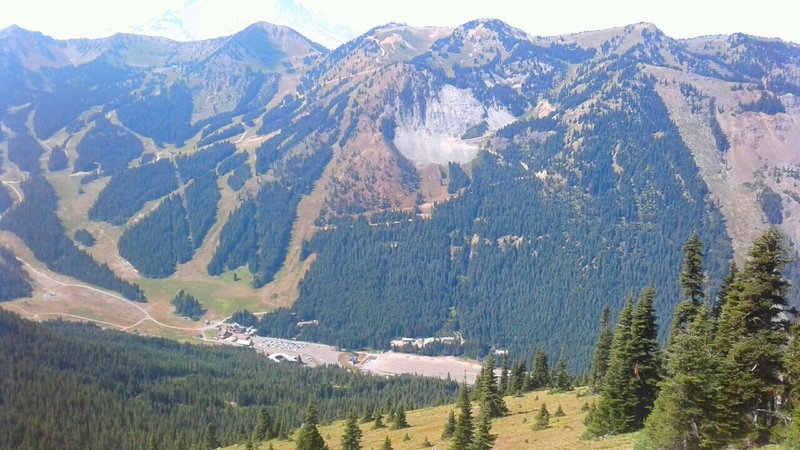 I am trying to get into Snoqualmie Pass around lunchtime on Sunday to be able to do some laundry and pick up my resupply package. It is still 42 miles away and so a reasonably big millage day is required tomorrow. AMAZING pictures â so envious of your care-free life! ENJOY!!! Thanks for wonderful pics,you are making great progress and I hope corky can come to the finish my beloved granddaughter Ella aka red riding hood is way behind you she plans to return to the uk mid sept so she needs to speed up.send news of corkys progress Anne Devon U.K.